West Shore commuters will have to wait longer and pay more before seeing the completion of the McKenzie interchange project. 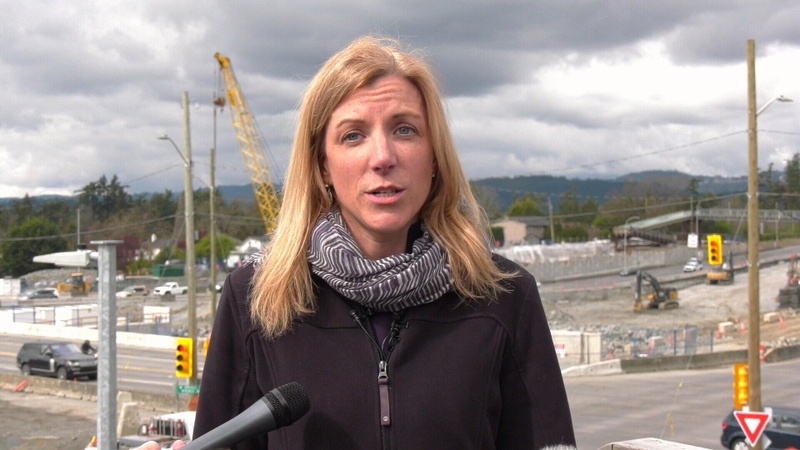 Construction of the overpass across the Trans-Canada Highway at the intersection of Admirals Road and McKenzie Avenue was initially slated for completion by late 2018. The province now says the final phase of the work is 50 per cent complete, with the job wrapping up by summer 2020. Once complete, the construction is intended to save commuters travelling from downtown to the western communities about 20 minutes travel time. B.C. 's Ministry of Transportation and Infrastructure plans to remove the traffic lights from Highway 1 by this winter, allowing highway traffic to flow through the intersection without stopping in the future. The delays also come with added cost. 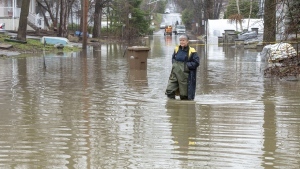 "There will be an increased cost," Janelle Staite, regional deputy director for the Ministry of Transportation and Infrastructure, told media on Friday. "[We're] just getting to the bottom line of what that number is, so I expect in the next month or so we'll be able to share that." In the meantime, the province says "unforeseen factors," such as challenging weather and ground conditions, have slowed the work. 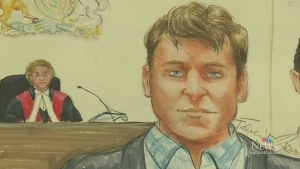 "We're actually lowering Highway 1 about eight metres," Staite said. "When we went to actually drill the piles for the centre pier, we encountered rock much earlier than we anticipated." The overpass project also includes a loop ramp, landscaping and transit facilities. "During construction this past winter, crews encountered significant weather events on the South Island, including heavy snow fall," the ministry said in a news release Friday. "Recently, the ministry also discovered highly variable rock while digging under the existing intersection. As a result of the discovery, modifications were made to the overall design of the interchange’s new centre pier. This pier will hold the bridge that will in future carry east- and westbound traffic over the intersection." The ministry said adjustments to construction schedules to reduce traffic delays and noise have added to delays. "The ministry apologizes for any inconvenience that this delay will cause and continues to work closely with the contractor on site to deliver the project as soon as possible," the ministry said. "Our hope had been by the end of the summer we would have free-flow traffic on Highway 1 and we would have the overall project complete by the end of 2019," Staite said. 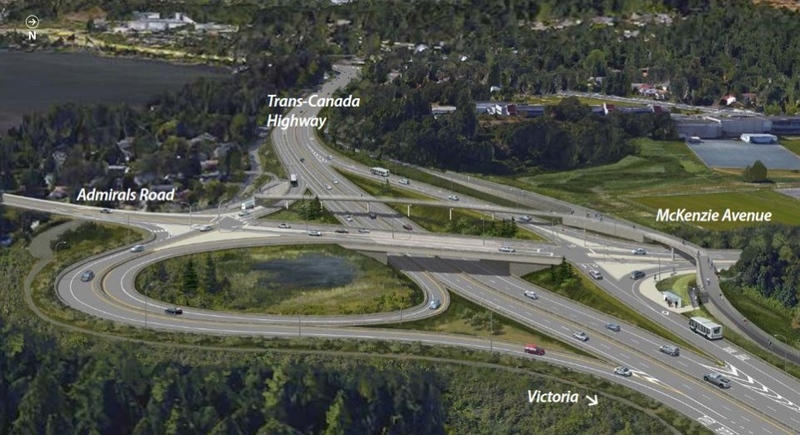 "Our revised schedule is to have free-flow traffic on Highway 1 by winter,"
A partial cloverleaf interchange with the Trans-Canada Highway going underneath McKenzie and Admirals is shown in this concept art provided by the Ministry of Transportation and Infrastructure. April 26, 2016.